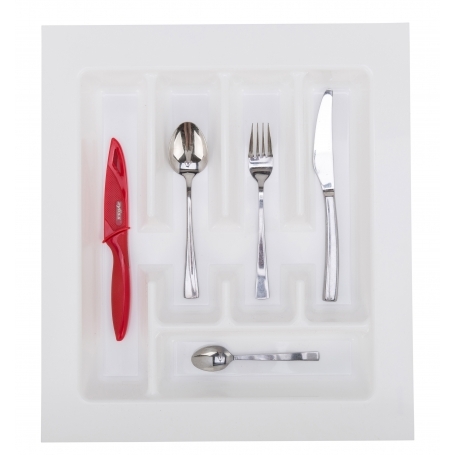 These cutlery tray organisers are perfect for keeping your cutlery sorted and separated. Very easy to wipe and clean, but sturdy in construction. These inners can be custom trimmed to fit your drawer perfectly. The trays can be cut to size to meet your individual requirements. These trays are also dishwasher safe/washable and hygienically non-toxic to food.